This photograph was taken from my kitchen window. 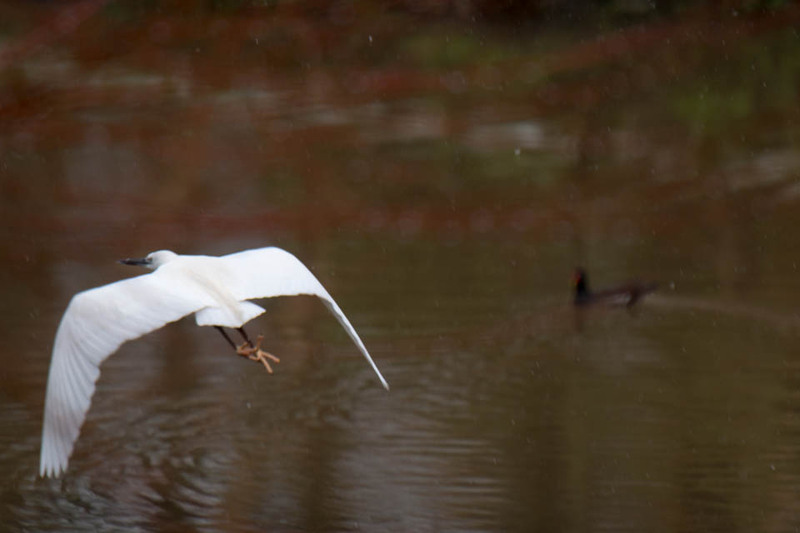 It’s a little egret – Egretta garzetta – which visited for the few days in January when there was snow on the ground. Curiously it only appeared when there was lying snow, and disappeared as soon as it had thawed. Hopefully it will be back soon, as it makes a welcome change to the Canada Goose which terrorises the pond in the summer months. 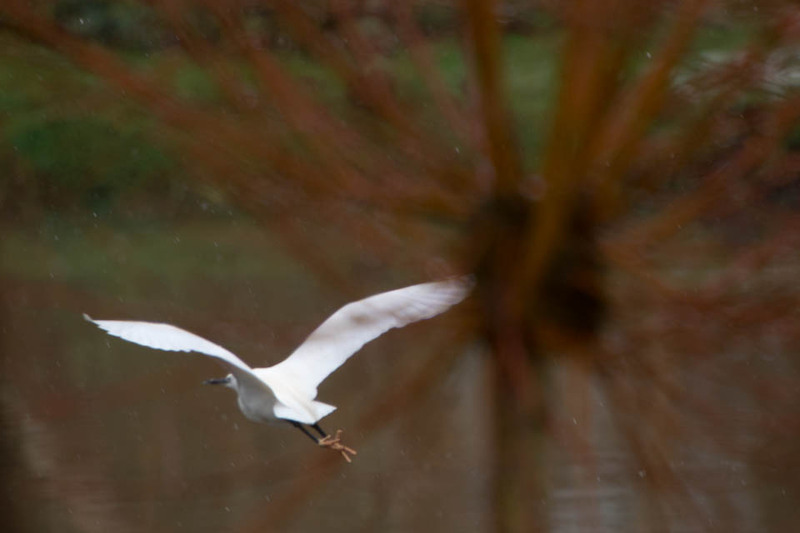 Although uncommonly seen in gardens, the Little Egret is becoming an ever more common sight in Devon. It belongs to the same family as the herons and bitterns, but its all-white plumage makes it unmistakeable. The feet are also very striking, looking a bit like human fingers, as they are flesh coloured. The photos were taken over a series of days when the snow was lying on the ground. The little egret (I assume it was the same one each time!) has a very deliberate looking walk, and a real dead-eye stare into the water, presumably looking for fish. There are a few eels in the ponds, which will hopefully attract other regular visitors such as grey herons and kingfishers – neither of which have been spotted this year. 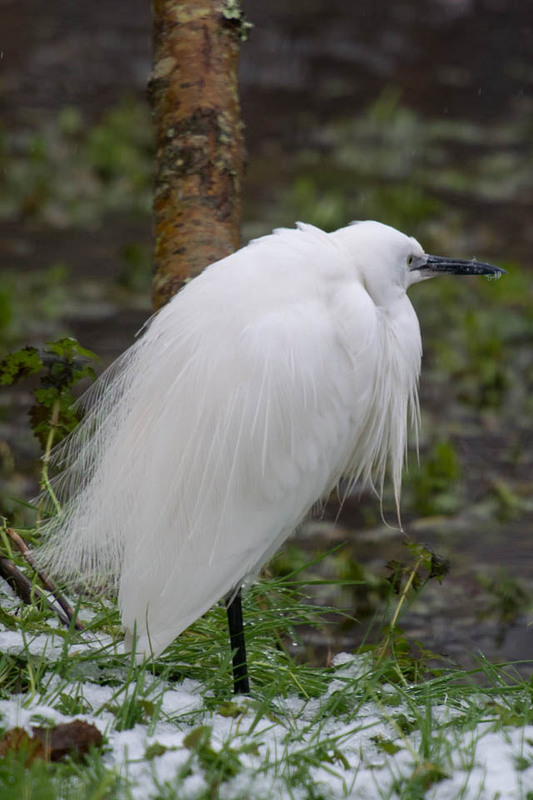 The Little Egret Egretta garzetta is classified as Least Concern on the IUCN Redlist. Some great photographs and more information can be found on the Arkive Website.